Interested persons should complete the application, which can be found on the Court’s website under the Lawyer Representatives section located in the “Attorneys” tab of the Court’s homepage. 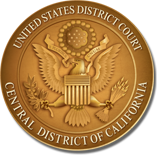 Additional information about serving as a Lawyer Representative can be found on the 9th Circuit’s website at https://www.ca9.uscourts.gov/content/view_lawrep.php?pk_id=0000000907. Please send completed applications no later than June 1, 2018, to LawyerReps_CACD@cacd.uscourts.gov.